Taking your child to a museum can be a nice bonding activity that will keep their mind awake during their summer break. For both of you to have an enriching experience, however, follow the tips mentioned below. As a student, one of your biggest responsibilities is going to school and trying your best to learn. However, if you have a challenging time with the latter due to a short attention span in the classroom, below you'll find tips on how you can improve in this area. 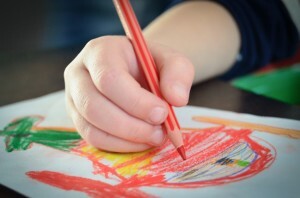 Drawing helps children pass the time, produce artwork, and have fun. Still, drawing can have many other benefits aside from those. Below you'll find just a few of the ways your child can come out on top of their friends if you encourage their love of drawing. New year's resolutions are promises that you make to yourself which can help you improve as a person and have the best year possible. If you're a student wanting to enhance your academic life this year, here are a few new year's resolution ideas for you to keep. While it's great that winter break is so close, you should realize that time flies by. This means that if you want to be ready to return to school successfully, you should start preparing early. For a few tips on how to ease the transition back to school after winter break, continue reading.